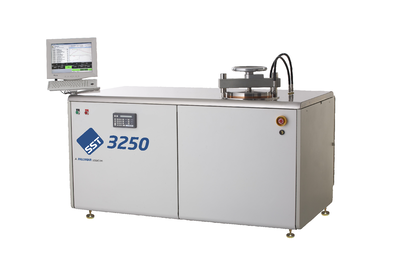 The SST 3250 is a high vacuum multi-atmosphere furnace that has been designed for soldering and bonding components and wafers up to 8-inch (200 mm) diameter. 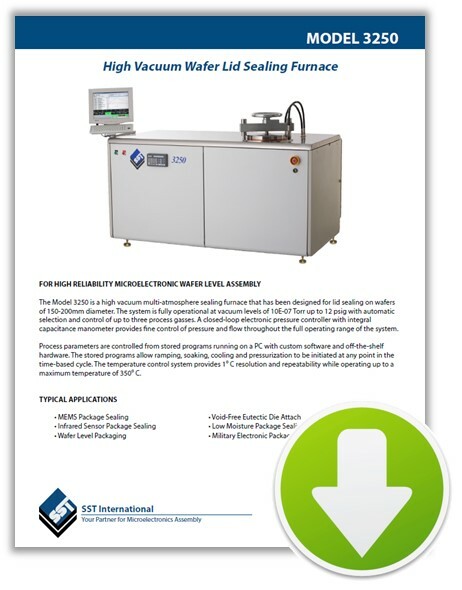 The system is fully operational at vacuum levels of 10-7 Torr and pressures up to 12 psig with automatic selection and control of up to three process gasses. High Vacuum MEMS Package Sealing. 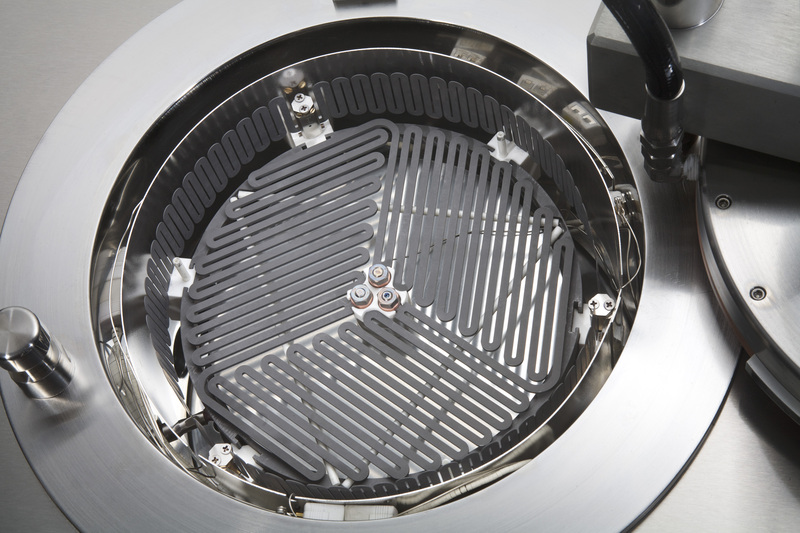 Advanced MEMS devices require internal vacuum levels on the order of 1 millitorr over the life of the device. 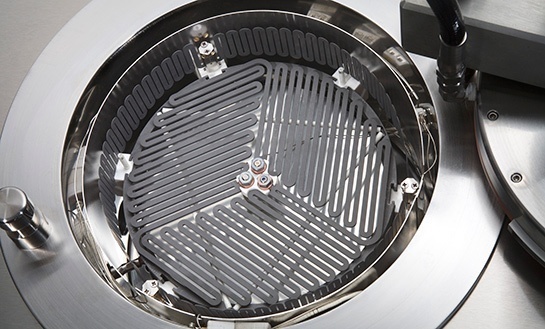 Sealing of these MEMS packages requires specialized thermal processing in high vacuum system.